Source: The Pop History Dig, includes several references to wrestling on Turner's networks and is a great historical piece in general. Show name: World Championship Wrestling, Best of Championship Wrestling, Sunday Edition, NWA Main Event, NWA Superbouts. Read about the main titles and shows here. Compare and contrast the images below. The first image is an aerial image of the Techwood Drive area from the mid-1960s (which looked very similar to this during the 70s and 80s when wrestling TV was taped there.) The 2nd image is a modern satellite image. 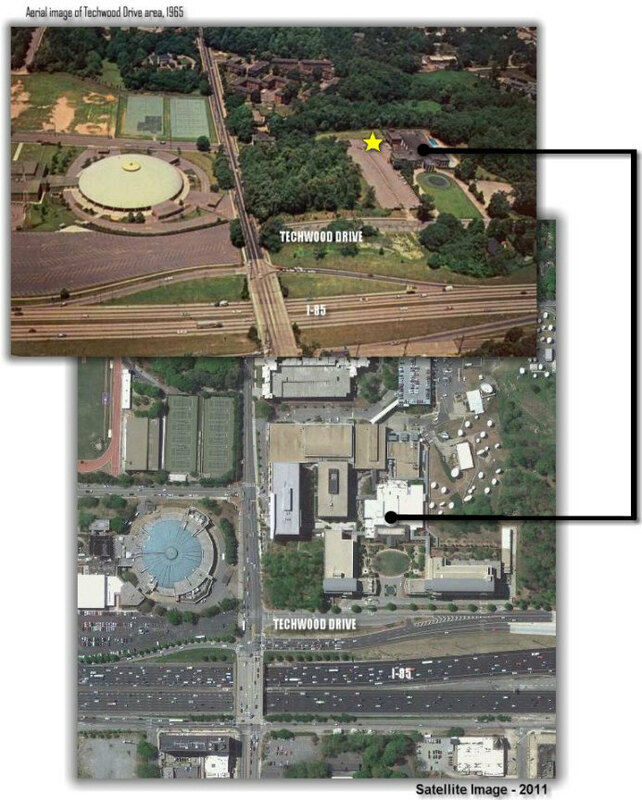 Both images show the WTBS Techwood Drive studios on the right and Alexander Memorial Coliseum on the campus of Georgia Tech University on the left. 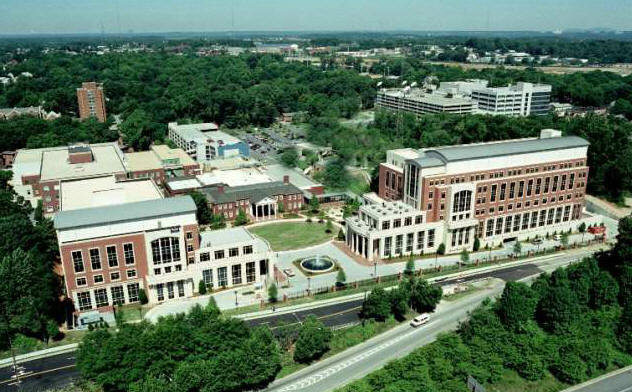 A third areal image below shows the modern day look of the giant Turner Broadcasting offices and studios, which now include studios for Turner Network Television (TNT) and production labs and studios for the Cartoon Network. 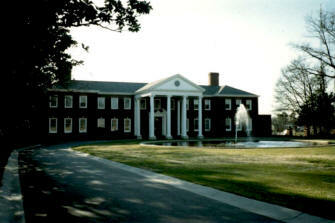 In my 1987 image of the front of the Turner Broadcasting building (above), you can see the circular fountain in front of the columned porch. In the first image below you can make out that same circular fountain in front of the porch which juts out from the building. In the modern-day satellite image below it, you can see the fountain has been shifted slightly forward and replaced by a small circular lawn. The larger lawn that extended to Techwood Drive seen in the first photo has been swallowed up by the widening of I-85 seen in the satellite image below. In the third image below, an aerial image from 2003, you can clearly see the familiar columns and fountain which is now just past a heavily secured gate. The front facade and the columns remain today, but nothing much else is the same. The yellow star in the older aerial image marks the general location where fans would line up to go in for the TV tapings. The wrestlers would also park here and enter the building here. More info. Thanks to Brian Rogers for his contributions to this page. 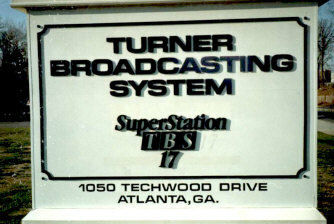 Before the Atlanta independent station was known as WTBS, its call letters were WTCG. 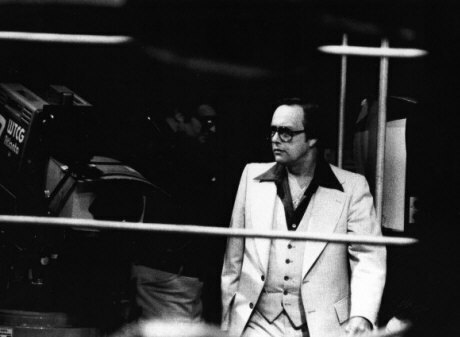 Seen in this wonderful photograph from the mid-1970s are host Gordon Solie and Fred Miller (in the shadows behind Gordon) walking onto the set of Georgia Championship Wrestling. It is shot through the ropes of the studio wrestling ring, a camera with the WTCG Atlanta insignia seen at left.